Jerome R. Friedland, M.D., completed his undergraduate studies in his native state of New York, then traveled abroad to study medicine. After medical school, he moved to California and completed his internship at Long Beach Memorial Hospital. Following a surgical residency at Nassau Community Hospital in New York, he served a three-and-a-half year orthopedic residency at the State University of New York at Stony Brook. Returning to Southern California, he became a team physician for the Los Angeles Raiders as an associate of Dr. Robert Rosenfeld. In 1978, he traveled to Linkoping University in Sweden to study with Drs. Oretorp, Hagberg, and Gillquist who were the pioneers of knee joint arthroscopic surgery. Dr. Friedland brought these specialist instruments and techniques to Southern California, being one of the first doctors to perform this less-invasive procedure on traumatic injuries. 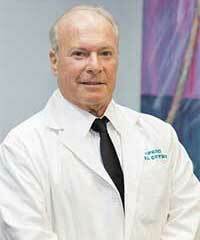 In 1979, Dr. Friedland started his own practice in Northridge adjacent to Northridge Hospital Medical Center. In 1987, he built and opened Orthopedic Medical Center in Reseda, bringing together top professionals for the purpose of diagnosing and treating orthopedic injuries. Dr. Friedland's special areas of expertise are arthroscopy of the knee and shoulder, joint replacement, and sports injuries of all types. He is very active in the International College of Surgeons, and has been certified by the Arthroscopy Board of North America and the American Academy of Neurological Orthopedic Surgery. 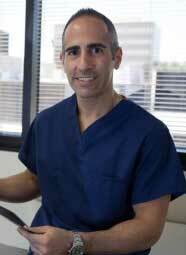 He is also a member of the Los Angeles County, California, and American Medical Associations. He is a Qualified Medical Examiner (Q.M.E. ), and an Agreed Medical Examiner (A.M.E.) for the State of California Industrial Medical Council, Department of Industrial Relations. He also conducts Independent Medical Examinations (I.M.E.) to resolve medical-legal disputes. 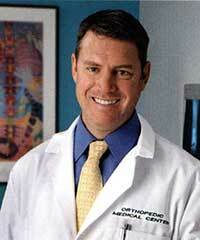 Dr. Friedland is fluent in Spanish. As a long-time member of the medical community, Dr. Friedland has an excellent reputation, being known for his high standards and his commitment to providing quality medical care. He is married with two children. His many hobbies include golf, piano, and raising beautiful roses.